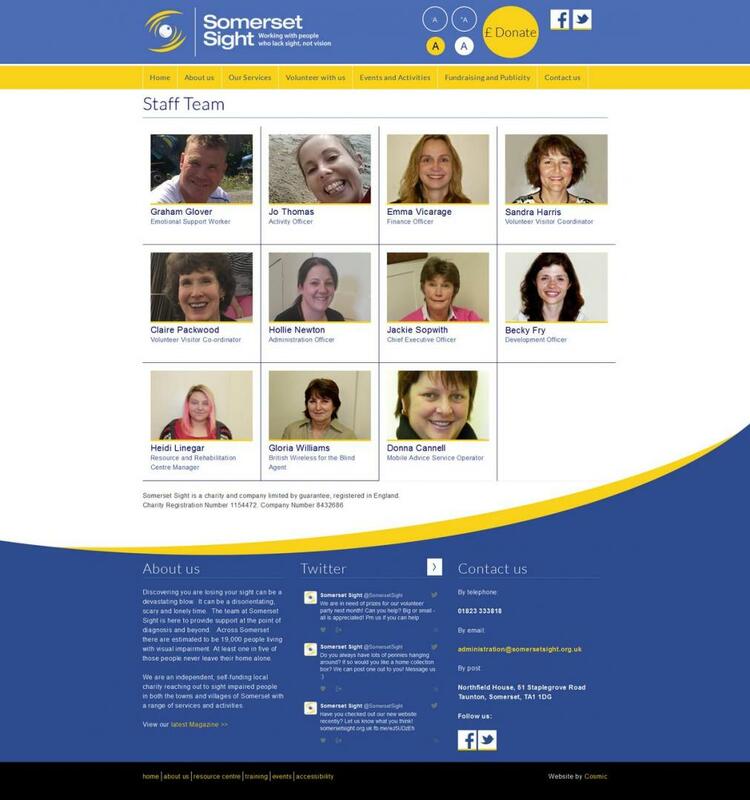 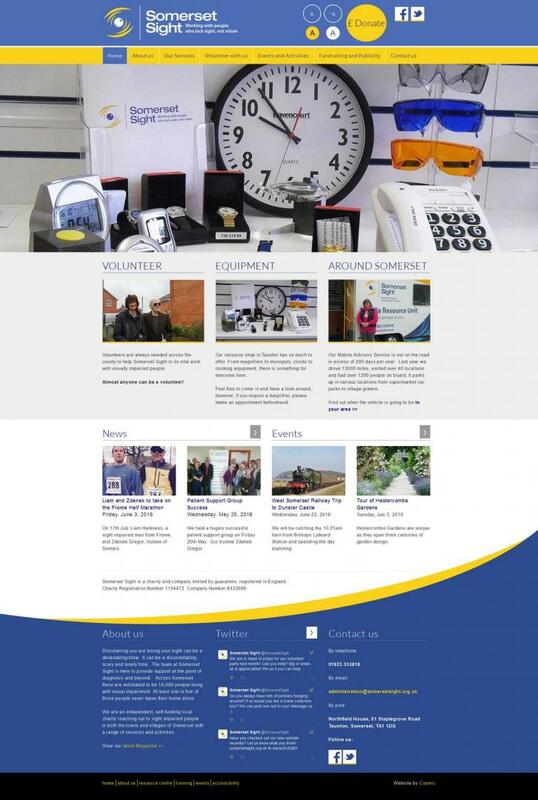 Somerset Sight came to Cosmic for a new website to reflect their organisation. 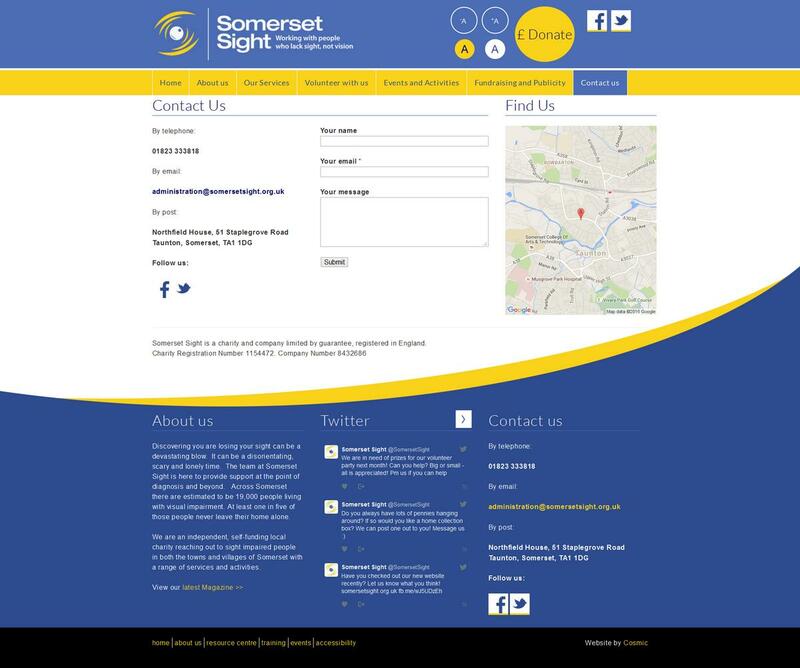 What did Cosmic do for Somerset Sight? 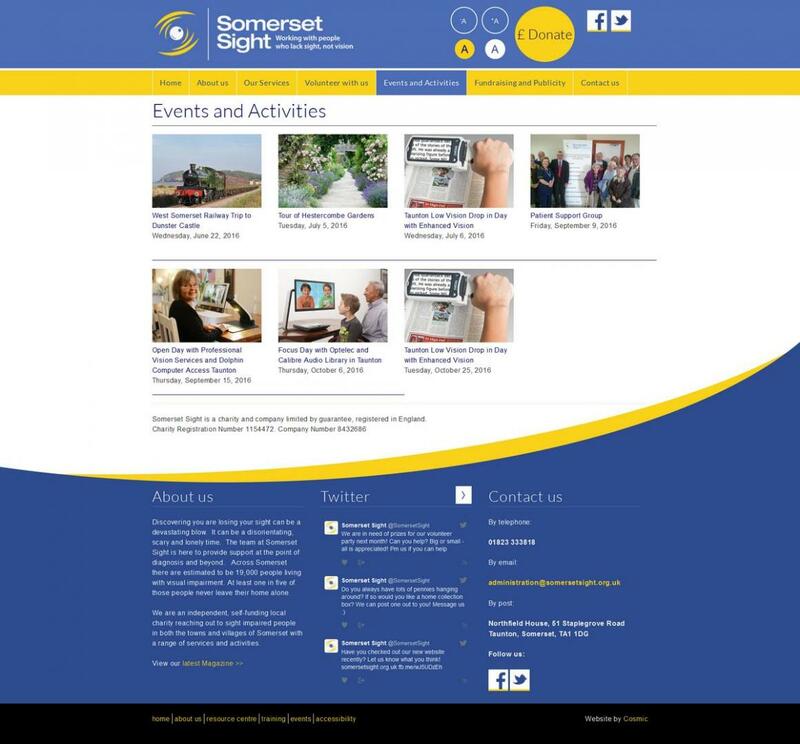 Cosmic designed and developed a new, responsive website for Somerset Sight. 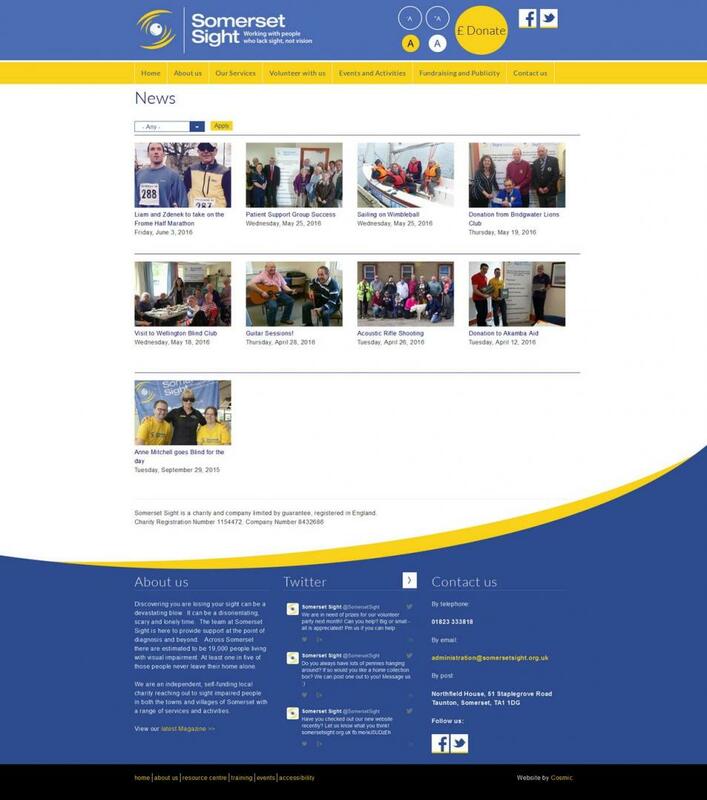 The website features a refreshing design utilising their brand colours, as well as a number of different types of content such as staff members, news, events and more, as well as integrated social media feeds and the ability to donate.